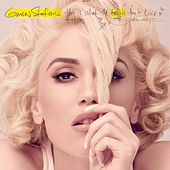 After a 10-year hiatus, Gwen Stefani’s triumphant return as a solo artist finds her exploring ties that bind and love and loss amid bubbly pop -- it’s a befitting cocktail of emotion, given the state of Stefani’s personal life preceding the album's release. The peroxide crooner endured betrayal by her husband and the dissolution of her longtime marriage through the constant limelight glare of The Voice before discovering new love as she wrote the album. Her lilting voice flits between saccharine harmonizing and her trademark smoky, deep timbre. Clean production merges hints of reggae and ska with pop, but continues to solidify Stefani’s departure from the sound of No Doubt.